SUN is the ruler of the zodiac sign Leo. 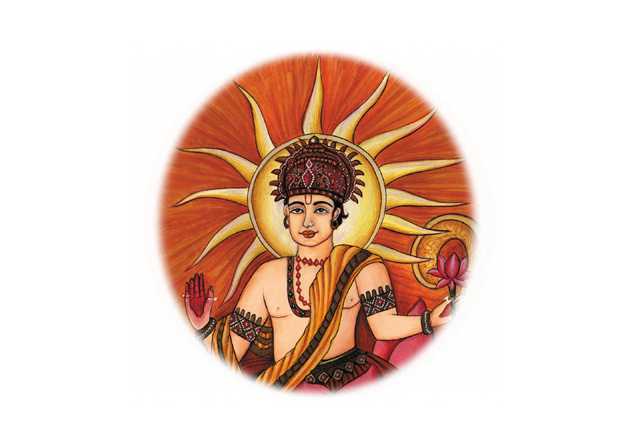 Sun will be in his most powerful position (exalted) from 14th April – 13th March. Those who were born during that time period will definitely display some of the positive personality straits described here. Though Sun is regarded as a malefic planet, it is actually an auspicious planet. If the Sun is powerful in the horoscope, the Sun has the tendency to give us vitality and the power of resistance and immunity. It is responsible for our physical constitution of the body. The Sun gives confidence, life force, will power, pride, dignity, authority, intellect, brilliance, prosperity, success in worldly affairs, wealth, personal conduct, father’s talents, activity, cheerfulness, good fortune, wisdom, ambition, fame and an understanding about medicine. Did you experience Mercury retrograde ? Mercury goes retrograde 3 times a year and it lasts for about 3 weeks. CONTACT me to know, when Mercury is going to be retrograde next. Read the rest and see whether you experience anything closer to the following issues. Last time when Mercury was in retrograde I had computer problems, misunderstanding of e-mails, my voice was bad due to flu and was not easy to do readings etc. During the Mercury retrograde period depending on the strength of the Mercury in your horoscope, you will some delays or obstacles in following areas. Businesses, travels and all matters related to communications may experience delays and numerous problems. Computers and other devices that work with information may experience crashes, unexpected failures. May not be a good time to enroll to courses, to buy expensive Mercury related items (books, cars, mobile phones, communication equipment etc. ), Better to avoid signing important contracts or read them more than twice before signing. This is a good time to catch up with neglected or old projects that never got to be finished. So, think about the things you started and never finalized. To prevent any bad things to happen to you, better to double-check your agenda, call your business partners to confirm that everything goes as planned, have everything ready before the deadline and leave some extra time for unexpected events. Make copies of your important files and documents, save your work more often. The practice of Universal Loving Kindness is recommended to be practiced at the beginning of each meditation session. It is also recommended for bedtime and just after arising. It is said to help you sleep well and to prevent nightmares. It also makes it easier to get up in the morning. Also it makes you more friendly and open towards everybody, friend or foe, human or otherwise. Therefore, it is strongly recommended that you start your day and end your day by meditation generating Universal Loving Kindness. This is how you practice Universal Loving Kindness. At the beginning of each meditation session, say the following sentences to yourself. Really feel the true intention from the bottom of your heart. May my parents be well, happy, and peaceful. May no harm come to them. May no difficulties come to them. May no problems come to them. May they always meet with success. May they also have patience, courage, understanding and determination to meet and overcome inevitable difficulties, problems and failures in life. May all the people who are known to me ……. May those who are angry with me or who are against me ………..
You may wonder how anyone can wish: May those who are angry with me or who are against me be well, happy, and peaceful. May no harm come to them etc……. What is an auspicious time? Why is it important? This can be better understood with regard to its role in astrology. Astrological reading deals with predictions about a native with regard to the time he or she was born. It is static, fixed and beyond one's control or determination. On the other hand, an auspicious time is dynamic. One can choose the most suitable or auspicious times at different stages of life where there are chances of changes in one's destiny. Thus a marriage performed on a particular day may change the course of one's life. This is not superstition. A marriage taking place at an inauspicious time can lead to disastrous consequences or divorce or life-long agony. After taking into account twenty-one 'mahadoshas'(great evils) and many other planetary positions and transits, the astrologer suggests an auspicious time attaching great importance to 'lagna' (ascendant or the rising sign) and position of the moon. Thus fixing an auspicious time is a time-consuming arduous task for an Indian astrologer. Fortunately, I did purchase the most powerful software from Parashara’s Light in US which has the amazing ability to utilize many different astrological techniques combined and come up with a list of the best date/time combinations for the selected events! For all your important events! Now you can get the best date and time for start any event such as a business, purchasing or buying a house, marriage, house warming etc. So, next time before starting any important event please contact me to find best day and time that will help you step forward successfully. Two friends were walking through a desert. We'll call them Bob and Sam. During some part of the journey they got into an argument and Bob slapped Sam in the face. Sam, who was slapped, felt hurt, but without saying anything wrote in the sand; 'Today my best friend slapped me in the face'. They kept on walking until they found an oasis, where they decided to take a bath. Sam, who had been slapped got stuck in the mire and started drowning but his friend pulled him out and saved his life. After he recovered from the near drowning he wrote on a large rock 'Today my best friend saved my life'. Bob, who had first slapped and then saved his friend asked him, 'After I hurt you, you wrote in the sand and now you write on a rock. Why? Sam replied, 'When someone hurts us we should write it down on sand where the winds of forgiveness can erase it. But when someone does something good, we must engrave it on stone where no one can ever erase it'. Learn to write you hurts on sand and carve your blessings on stone. Global Financial Crisis – Why? The global financial crisis is an ongoing issue which is puting a number of countries into a recession and the major stock indexes into a downward spiral. This crisis came to the forefront of the business world and world media in September 2008, with the failure and merging of a number of American financial companies. Consumer spending has fallen, and banks a much less likely to approve loans, and with many countries now in a recession, there will be more hard times ahead. This is likely to continue effect the world for months and years to come. Fortunately there are many who will not feel the impact of the crisis and who live happily. They have had no losses. Why is that? That is because they were not madly obsessed in wealth creation with GREED. Archbishop of Canterbury says that greed has caused the global financial crisis (15th Oct 2008 – Telegraph, UK). I totally agree with the Archbishop’s statement that greed is the main cause but also that it is strengthened by ego, stupidity and dishonesty. Those who are practicing a spiritual lifestyle will not have greed and can minimize or control greed. They will not feel the impact of this financial crisis. Unknowingly because of greed we ruin our relationship, friendship, wealth, family and career etc. Therefore it is much more important to practice a spiritual lifestyle while practicing compassion and loving kindness. That way we can learn to get rid of greed, anger, hatred, ego, aversion, delusion, jealousy and stupidity. Please appreciate and be happy with what you have. Have time to enjoy what you have and find time to share what you possess with the needy and the poor. That is the only way that one can gain true happiness. Mother Teresa – Winner of the 1979 Nobel peace prize. Recently I was lucky to attend a series of discussions with a Buddhist monk. He gave me the following 10 points and I would like to share these points with you. I am sure you will understand the value of these points and how it will help us to maintain a healthy relationship. The qualities that are the most important to be considered in sustaining a good relationship. 3) Compliment each other for all of the good that they bring and give. Always give and wait to get. Never take against what you have given. 7) Enjoy the present and leave the past alone as neither of you can do much about anything that was done, said or felt. 8) Keep a smile on your face all the time, as this will always need a wholesome thought within you to smile about. For the last couple of years I have being helping a lot to provide the basic needs to poor and needy families in the village (Mawala) that I live in Sri Lanka. I must thank some of my wonderful clients (Singapore, Hong Kong, USA and Australia) who have very generously donated money to help the needy. Last year I realized that if we do not educate the children of these poor families the social problems can be much more than we expect. Therefore, I have decided to start helping some children at the village primary school. At a meeting I had with the head master, we decided to select 10 children who are good in their studies but have no funds to pay for additional expenses (i.e. Simple things such as tuition or even school bags and school shoes) to improve their studies. Once in 6 months the school will monitor their progress and the funds will be given only if they are doing well. The cost for their clothing, books and if necessary for extra lessons will be only A$ 30 (US$ 25) per month. At the moment we are helping 12 children / students and I also provide financial assistance monthly to 3 families to get their basic needs. I have another 11 children waiting for such assistance and it will be greatly appreciated if you could help to sponsor a child. Giving and sharing your earnings is a great spiritual act. On top of that there are no words to explain the value of giving wisdom to another. Therefore, if you wish to help please contact me and I can make the arrangements and help for you to communicate directly with the child and the school. I also have in mind to invite the donors to Sri Lanka to visit these children and to spend some with me in the village atmosphere in Sri Lanka. May the 9 planets bless you and protect you all forever ! Are you truly happy? Are you really satisfied with your life? If you are, then it is of great importance. Happiness is the greatest wealth that you can own. You, and you alone can gain it, or lose it - ­ no one else can do it for you; by the same token, no one can take it away from you either. The root of unhappiness is desire. So, to be happy, we have to make every effort to control our desire, no matter how large or small. Running after every want, need, and whim sends happiness speeding away from us. So, be satisfied with what you have, rather than yearning for what you don't . Just as night follows day, so too will happiness follow you throughout karmic journey. It was great to listen to Dalai Lama when he was in Perth recently. SATURN is a karmic planet. Saturn is a karmic planet. It would appear that Saturn’s role is to make us grow inwardly by inflicting suffering, denial and delay. He causes poverty, deprivation and want. The beneficial side of Saturn, relates to one’s spiritual life in a strict and exacting manner – something that is rather hard to live up to. Saturn is the enemy of Sun and Moon and has an eclipse like effect upon them. 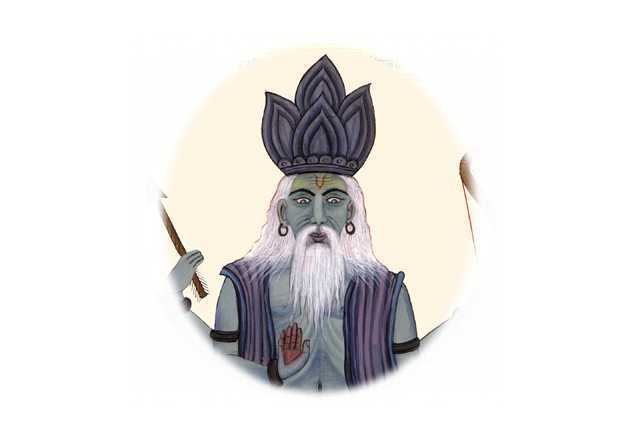 Only Jupiter has the power to subdued or balance out his influence. According to Hindu mythology, Saturn is the son of Sun. Sun moves in a chariot driven by Saturn. He represents the darkness, death and sorrow that we must overcome to see the true light. Symbolic of a yogi in meditation, Saturn can provide complete detachment and independence. He gives the concentration, the seriousness and the sense of detail and discipline that is necessary to deal with the challenges of life. Saturn is generally a benefic planet for persons with Libra, Taurus, Capricorn and Aquarius ascendants. The main gemstone for Saturn is Blue Sapphire. It is best worn on the middle finger of the left or the right hand. Amethyst or Lapis Lazuli (at least 4-5 ct) serves as a good substitute in the semi-precious stone segment.